Since 1982, the Land Trust Alliance has supported conservation by providing its over 1,000 member land trusts with education programs, legal insurance, and a voice in Washington speaking for conservationists. 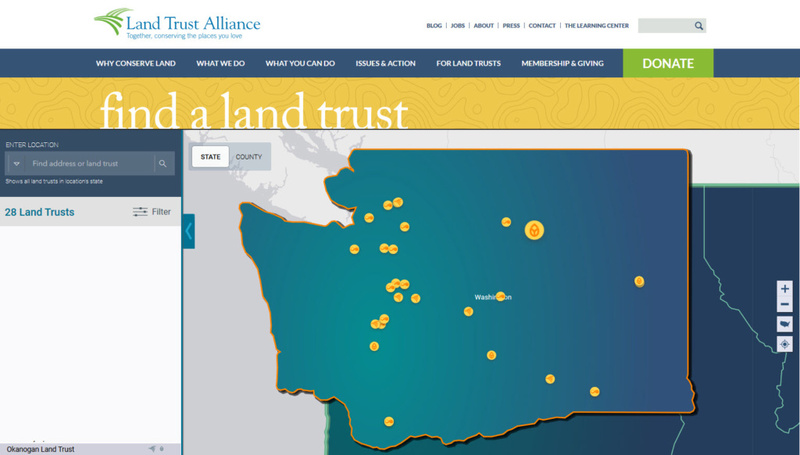 With the Find a Land Trust Map, the Alliance gives individuals around the country a means of identifying local organizations working on conservation. The Land Trust Alliance set out to update the map with a modern, intuitive user interface while maintaining the previous map’s search and filter functionality. Blue Raster’s design team worked through several rounds of design and conducted user testing to ensure that users would be able to quickly find land trusts in their area. By including key information about protection priorities, acres under protection, and Accreditation status, the map makes it easy to find the right land trust. 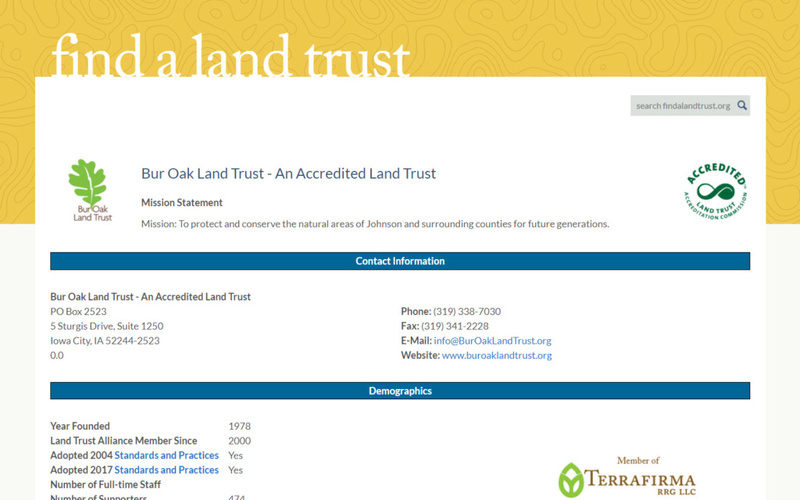 Members can update the status and information associated with each Land Trust easily. Blue Raster used the latest technology to grab user submissions daily by running a, automated Lambda script hosted on Amazon Web Services and publishing updates to the data hosted on ArcGIS Online.